3 Beds 2 Baths 1,495 Sq. 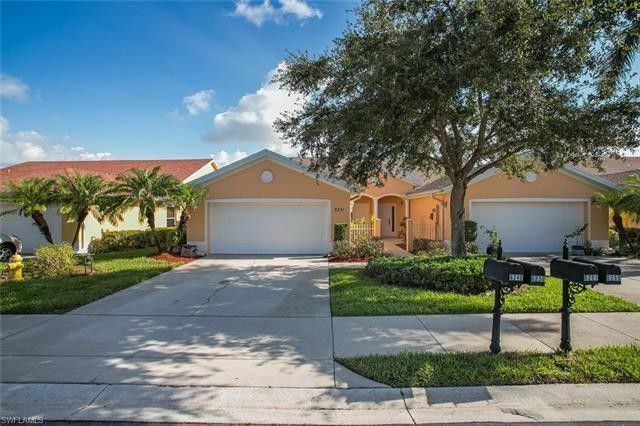 ft.
Nicely Updated and Spotless 3 Bedroom, 2 Bath Villa with 2 Car Garage Featuring New Granite Counter Tops, New Stainless Appliances, New Washer & Dryer, New 20 Tile Flooring, New Interior Paint, New Carpeting, New A/C System in 2016, Solar Skylights and Extended Lanai with a Relaxing Lake & Fountain View. The Gated Mandalay Community is centrally located with quick access to 5th Ave South, The Pier, I-75, Restaurants and Shopping.